She has soul and a particular charismatic tone in her voice that gives each song that special something. 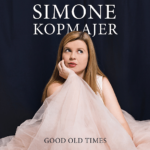 Born in 1981, Simone Kopmajer already achieved at a young age what many musicians, bands and ensembles dream of – the launch of a successful international career. In the United States, Japan and Southeast Asia, the singer is a household name for lovers of demanding and refined jazz music. She fills large concert halls, performs as the headliner of major international festivals and has sold thousands of CDs worldwide. Lo and behold, it seems as if only Austria is not quite aware of this outstanding and award winning singer. She has soul and a particular charismatic tone in her voice that gives each song that special something.